A device measures your heart rate to assess your health. If pressure on your nervous system is present, we won’t see much variability in your heart rate. 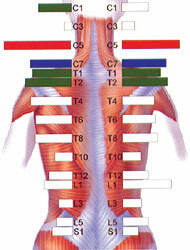 This assessment technique shows where signs of malfunction or disease exist in the body. We’ll give you a comprehensive assessment to understand your needs. Contact us today to find out how we can help you!